Adventure holidays are fantastic things. They’re exciting, thrilling and often in very exotic beautiful locations. They’re also potentially dangerous and expensive if anything goes wrong. You need to know how to manage your travel insurance for these situations, what to look for, and also how to check out facilities at your destination, to make sure you can do what you need to do, when you need to do it. Most adventure holidays are extremely well run by professional operators. Every effort is made to ensure safety and to provide facilities for emergencies. The other side of the coin is more complex. Although the operators can deal with their side of things, you need to be able to pay for any medical or other issues. This can be straightforward, or it can be quite difficult, depending on where you are, and the circumstances related to any situation. African wildlife safaris are among the best run tour operations in the world. 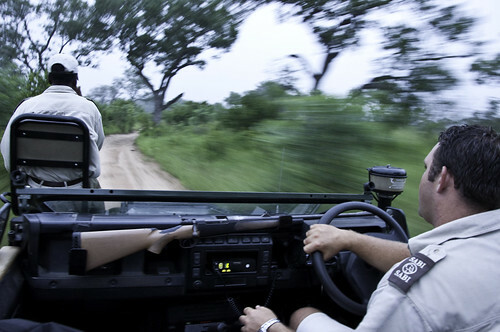 The top of the range safaris are basically eco-tours, and operate very smoothly, 99.9% of the time. The problem is that this is all happening in Africa, and other facilities aren’t necessarily run as efficiently. If there’s an incident, medical treatment may involve movement to a major hospital, and significant dislocation to your travel plans. You may have to completely reorganize your arrangements, and your travel insurance must be able to deal with each of these situations. As you can see, there’s a range of issues that must be fully covered. Some tour operators do have their own insurance to cover some situations, but they can also take ages to resolve claims. On principle, it’s best not to rely on a third party to cover your own upfront expenses and costs. You will need travel insurance that can manage any issues quickly and efficiently. It’s a good idea to shop around for your travel insurance and make sure you’re getting what you want. The best option is to compare good cheap travel insurance with other offers. In this case, price isn’t necessarily a guide to quality. Many of the online insurers offer highly competitive deals simply because they don’t have the overheads of traditional insurers. You’ll also notice that the online insurers provide a lot of information upfront, always extremely useful when you’re trying to assess the benefits of a policy. Notifications and reporting requirements for some incidents, like theft, etc. Document replacement if personal documents go missing. There shouldn’t be any doubt at all about coverage of these issues. These are the basics, the absolute must-haves for any type of adventure tour. The policy you choose should spell out what it provides. Talk to the insurers, and pick the one which clearly knows the issues and has a policy to match your needs. Next PostNext Thinking Of Taking a Vacation In Mesmerizing Manila?